Advisors: Tenman, European Network of Living Labs, Van Der Tol group, SWECO, ReArchitectuur, The Waste Transformers, De Wijde Blik, Beelen Sloopwerken, Wageningen, UR. 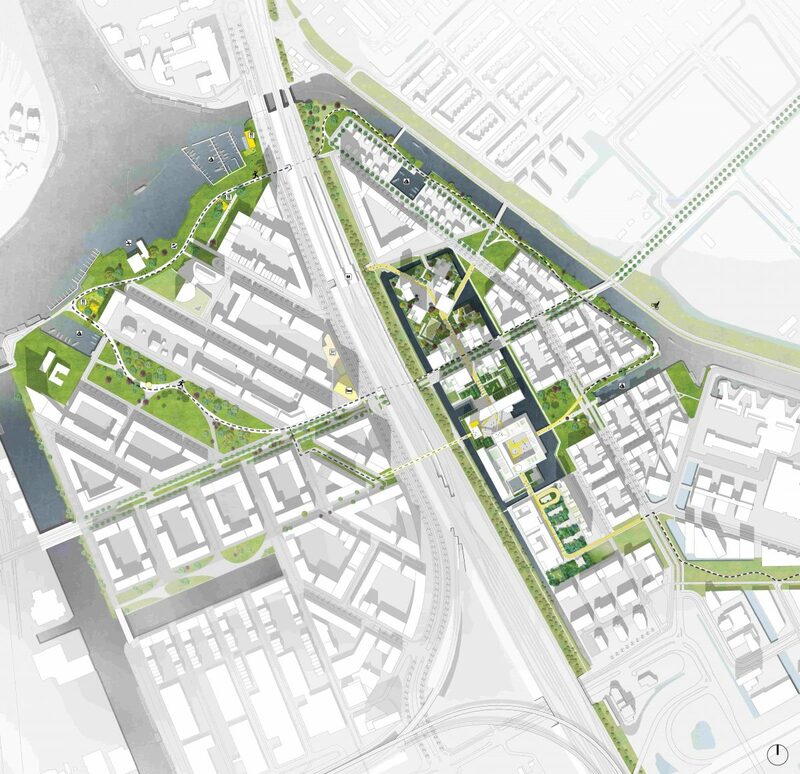 The Bajes Kwartier Masterplan is the base and the strategic background of the design proposal for the redeveloped of the former prison of Bijlmerbajes. 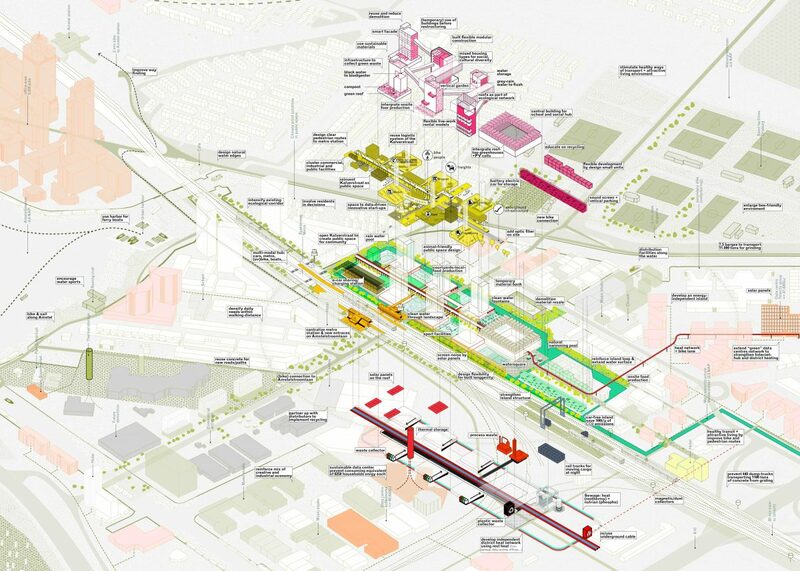 Designed by FABRICations, OMA and Lola Landscape Architects, the masterplan adopts the six themes of healthy urbanism (healthy living – vital economies – resilient systems – social-cultural connected – energy transition – material cycle) to implement a holistic strategy that would transform the former prison into an active urban catalysts for its inhabitants and for the rest of the city. The masterplan followed two main phases. In a first phase our sustainability scan was applied to the existing construction. Through the lenses of our scan we assessed the historical, social, cultural, environmental value of the site, and we quantified the potential of a new intervention and how to achieve it. 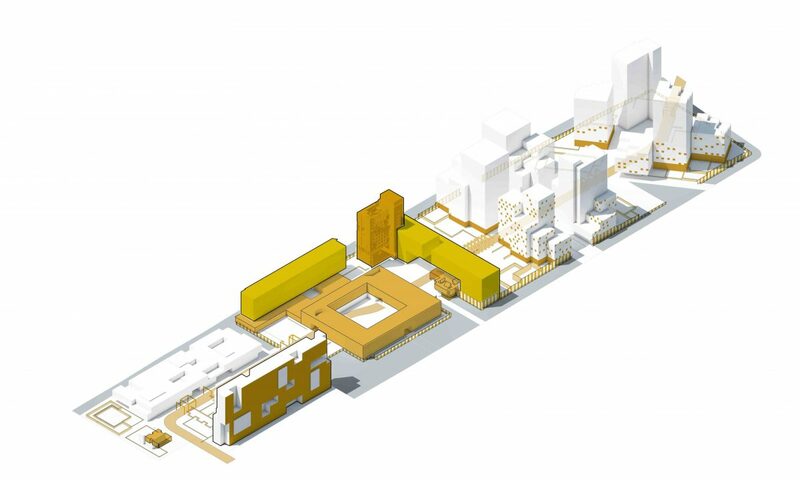 In the second phase, the design team collaborated in creating a masterplan that would provide proactive dynamics to implement high density housing complex with cutting edge sustainable features. 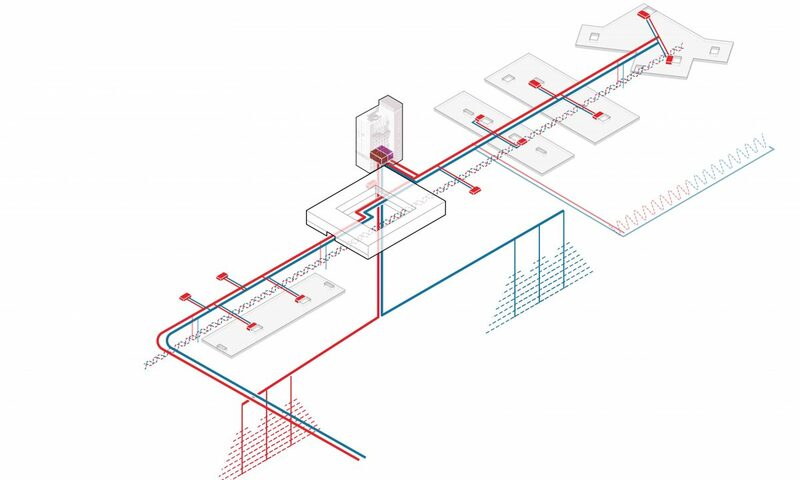 As a result, we produced a holistic plan, which preserves part of the historical presence of the prison, and implements new building clusters that directly interact with it. 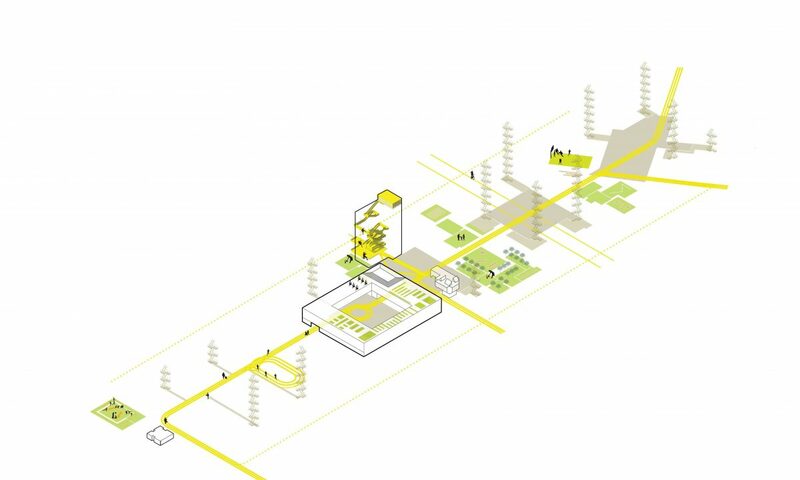 The whole complex is integrated and connected to the rest of the city according to the six themes of healthy urbanism, so that the impact of the building on the environment is minimized, while its benefits for the city and its inhabitants are maximized. 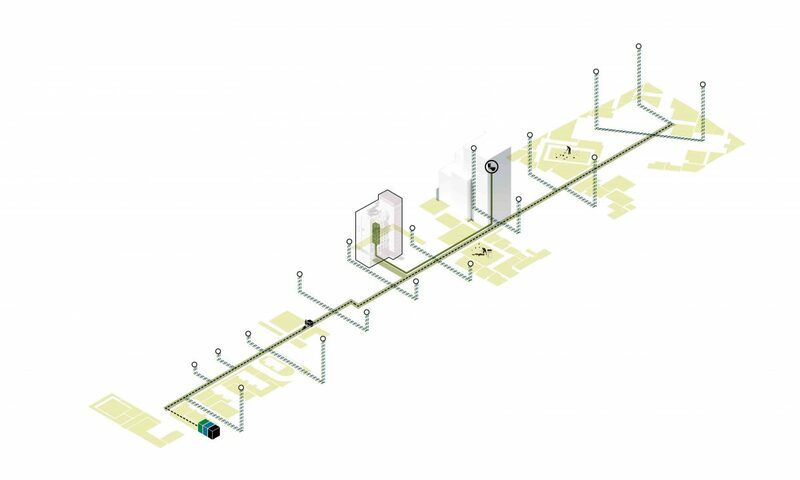 As a result, green corridors are created to connect the site with its surroundings and provide connectivity for people and biodiversity. 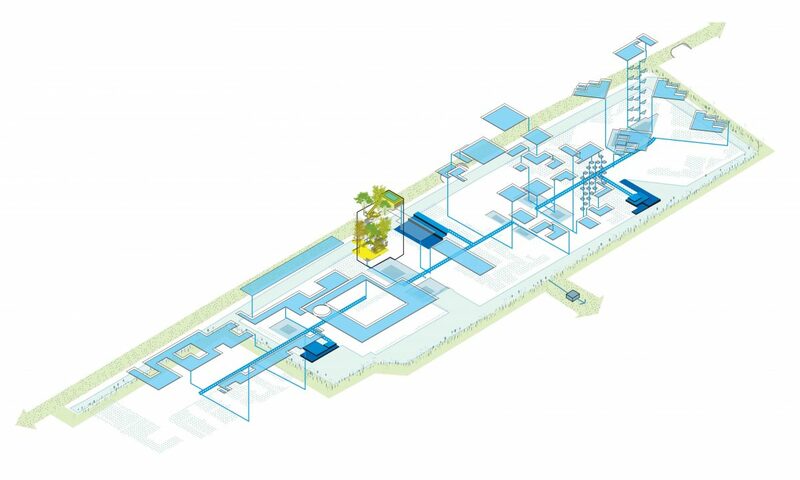 With a vast network of specialized consultants, we developed a creative plan that integrates cultural heritage, reuse of materials, power generation, innovative water systems, contemporary mobility concepts and a mixed urban program. All those systems come together in the iconic center of the complex, the Green Tower. 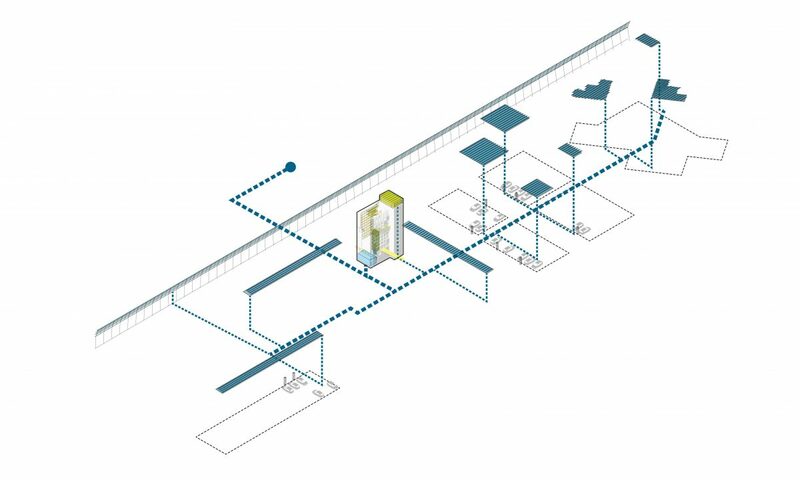 The Bajes Kwartier, developed for AM, AT Capital and Cairn was awarded with first prize in the public competition and selected for implementation.